Although the Tamron 11-18mm might not look quite as wide as the rival Sigma 10-20mm on paper (a millimetre can make a lot of difference at these focal lengths), the field of view was almost identical in our tests, using both on a Canon EOS 400D. The Tamron is marginally lighter than the Sigma and doesn't have the ultrasonic autofocus motor, so focusing is noisier and slower. In our tests the Tamron proved rather crisper, with sharpness being much greater in the central area of images, and better still towards the sides and into the corners. On the other hand, the Tamron was more susceptible to flare, ghosting and chromatic aberration than the Sigma. 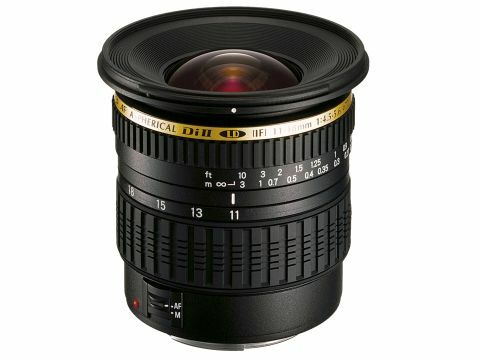 As well as the Canon fit option, the lens is available with Nikon and Sony/Minolta mounts.